Our academic programs are supported by a variety of experiential programs designed to engage students in learning beyond the classroom and provide them with opportunities to apply their knowledge in real-life situations. These programs offer meaningful, hands-on experiences that allow for trial and error and empower students to tackle new challenges. Through these experiences, our students gain awareness of other cultures; develop leadership and teamwork skills; learn to care for others, their community and their environment; and become open to new experiences. 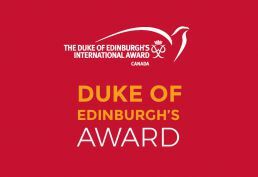 The Duke of Edinburgh’s Award is a for-credit, self-directed development program that encourages personal discovery and growth, self-reliance, perseverance, and responsibility. The program requires students to set and achieve personal goals in four areas: Service, Skills, Physical Fitness and Adventurous Journey. SMS students are introduced to the Award in Grade 9 and about 25% of our students choose to complete one of three Award levels: Bronze, Silver or Gold. 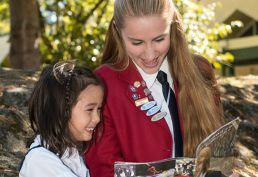 A number of our school programs are designed to meet the criteria of the Duke of Edinburgh’s Award, but no two Awards are alike – each student chooses activities that interest her most and benefits through her own efforts. This is a school where students’ voices are heard and acted upon. They are empowered to take responsibility for their learning and shape the overall learning experience. They are encouraged to develop leadership abilities, become an independent thinker, take risks and learn from mistakes, and collaborate with others. SMS girls are used to stepping into leadership roles in Grades 7-12 because it is part of their everyday experience. Student clubs, school assemblies, lunchtime intramurals, the spring production, fundraising activities and environmental programs are all led by our students. Encouraging students to develop leadership abilities, become an independent thinker, take risks and learn from mistakes, and collaborate with others. 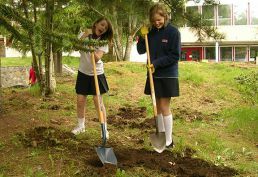 Providing girls with authentic leadership experience, including school clubs, athletics, the Big Sister/ Little Sister Program, outdoor education, the Duke of Edinburgh Award, community service projects, and the House System. Introducing leadership concepts through exercises in communication skills, self-reflection and teambuilding. 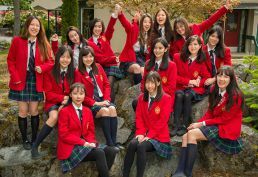 Our student population includes girls who join us from all over the world and their cultures and experiences enrich our learning environment. As well, SMS students also have opportunities to explore other countries and learn about their cultures and people first-hand. 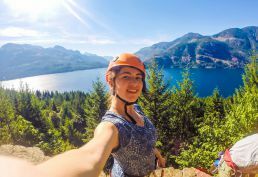 for many of our boarding students, their everyday experience at SMS is already an experience abroad and we are only too happy to show them around our own backyard and some of BC’s most spectacular destinations. 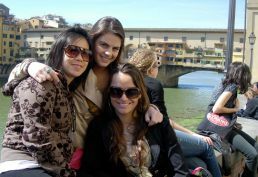 Intercultural exchanges are organized with schools worldwide to immerse themselves in European culture. Students can join a two week European adventure and apply their learning in a global setting. Students also have the opportunity to volunteer abroad on a school service trip in a developing country and take part in community service projects. At SMS we see technology as a powerful tool that can be used to connect students with valuable resources outside the physical classroom, improve workflow between teachers and students, increase productivity, and improve student engagement. Technology will continue to play an essential role at the school as we work to equip students with the skills they need in an increasingly digital world. But as important as we feel it is to provide access to leading-edge technology, we recognize (and stress here at the school), that technology is simply a tool, and like any tool it must be used correctly to be of value. As always, our focus is the quality of our students’ learning. We are committed to using technology in alignment with the redesigned BC curriculum, enhancing your daughter’s learning experience, and adding value to her education. Field trips are at the heart of our experiential learning program and students at every grade level participate in a dizzying variety of experiences throughout the school year. Sometimes you really do need to see it to believe it. School trips offer opportunities for students to see, feel, touch, taste and experience the material they study in a way that just isn’t possible in the classroom. Our Outdoor Education Program encourages students to challenge themselves in a range of outdoor activities and adventures. 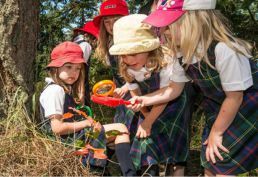 Students explore our natural environment, learn to work cooperatively and gain confidence in their own abilities. 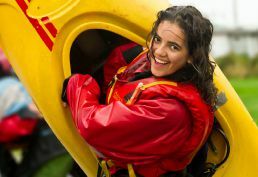 Whether paddling a canoe through Nootka Sound, cooking meals together or cooperating to set up a group shelter, students gain an appreciation for their peers and build upon what they thought to be their own personal limits. Grade 3 students spend a day at a nearby outdoor camp and are introduced to activities like canoeing, kayaking, archery, swimming, and climbing. Grade 4 and 5 students go on two outdoor trips each year, including their first overnight trip. Grade 6 to Grade 12 students participate in Outweek featuring opportunities to camp, canoe, kayak, cave and climb at Strathcona Park, sail a tall ship with SALTS, or explore our underwater environment in a scuba diving program. Our Big Sister/Little Sister Program is a student-led mentorship program much beloved by our students. Each Foundation Years girl is paired up with a Middle or Senior Years girl and Little Sisters and Big Sisters participate in school-wide events and house challenges together. The program fosters positive relationships that span grade divisions and a strong sense of community within our school. The benefits of this program are felt by all – younger students have someone to look up to; older students have someone to set an example for; boarding students have a sense of family and international students have a conversation partner. We believe in both doing well and in doing “good” and that the two are inextricably linked. We aim to help every girl develop the selflessness to give and the moral compass to do the “right thing” simply because it is the right thing to do. The organizations we support and the issues we address are always changing – our students identify and contribute to service projects that are meaningful to them and which they are passionate about. They gain an awareness of social and environmental issues and challenges, discover their ability to make a difference, and develop a commitment to service. Students are engaged in fundraising initiatives and our led through the Leadership Program, school clubs, the Duke of Edinburgh’s Award. Students volunteer their time to help others both locally and abroad.